Starting life in 2004 as a small retail outlet in Leeds, Independence Mobility has gone from strength to strength over the past 15 years and is marking its anniversary with a rebrand that it describes as reflecting its modern approach to the industry. Consisting of a vibrant new look featuring bright colours and a contemporary clean logo, the mobility store has also incorporated the strapline, “passionate about changing lives” into its updating branding. According to the Independence Mobility, the new look and strapline is designed to communicate its commitment to helping to improve the lives of adults and children with the provision of specialist healthcare equipment. In addition, the company has given its website a new look and says it will be developing it further over the coming months, as well as creating a new collection of literature, with a new 12-page seating brochure already launched. 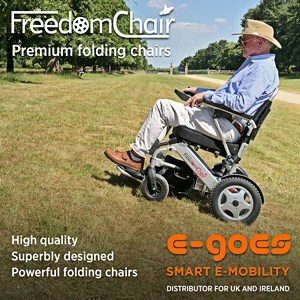 Having started out selling entry-level wheelchairs, scooters and beds to end-users with basic needs, the retailer has developed into various areas of the market over the years, catering for a wide range of basic and complex needs. Alongside working with end-users, the Leeds-based mobility retailer says it has now developed close links with a range of healthcare professionals in the NHS, including occupational therapists and physiotherapists, as well as case management companies across the region. “We’re privileged to have an amazing team who work with us and have helped us become what we are today,” finished Antony.